"Your mother was right, it's better to share", that's the tagline of one of those awesome RedHat commercials that we featured some time ago. The idea of sharing is infectious and is fast spreading. Take Apertus for example, a project aimed at building an Cinema Camera based on the idea of sharing and mutual respect(read Open Source). The original idea came into existence in the mind of a DVinfo forum member who started a thread called "High Definition with Elphel model 333 camera" way back in 2006. The idea was to create a free (as in freedom) and open cinema camera based on Elphel 333 camera. As any typical Open Source project, more people got involved and the thread hit more than 1000 posts in 2009. Then they decided to build a dedicated website for the still unnamed project. Finally, after long discussions, the project was named Apertus. "The Apertus project is basically the effort to turn an Elphel into an affordable, full-featured cinema camera that we as film-makers love to use and providing a workflow to integrate it into a professional movie production." How is Apertus Project different? Back in the days when digital revolution was not yet started, those people working with the camera had a clear understanding of what was happening with the celluloid inside their movie cameras and how they can influence the mechanical and electronic parts to achieve the desired result. But with the advent of digital cameras, the manufactures started 'black boxing' their products to stay ahead in the competition. It became a common practice among manufacturers to disable features in software to make you buy the higher priced product or force you to add software that makes sure you only use accessories from that particular company. And thus emerged Project Apertus. Like our very own Linux in a Windows and Mac dominated world, Apertus stands for the people, the end users. 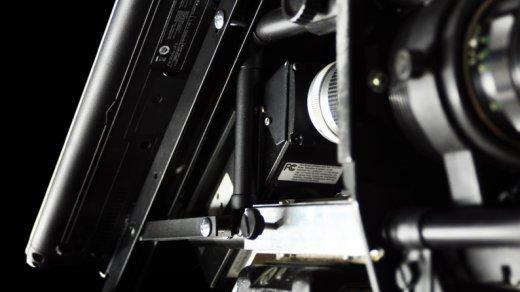 "Apertus is about developing a high-tech cinema camera without any secrets or restrictions! We actively share the knowledge and encourage others to improve and modify our camera. Once you got used to working with a truly open system, you will suddenly realise how limiting your previous one really was." I think, Linux users are probably the best at understanding the importance of this project and its limitless possibilities. "Once you got used to working with a truly open system, you will suddenly realise how limiting your previous one really was", thats exactly how I feel right now being a Linux user for the past 3 years.